The repeal eliminates the penalty for not having health insurance. Under the ACA, consumers were charged a penalty for the year they lacked coverage. But now, when consumers file their taxes, they won’t be charged a penalty. Without the penalty, younger and healthier consumers may choose to not have individual coverage. However, this doesn’t mean they don’t need or want health insurance coverage. Expect employers to play an increasingly important role in filling in the gap. That being said, not all employers offer health insurance. It’s still ambiguous what the self-employed (think contract, freelance, or gig workers) will do. The likely scenario in which many of the self-employed forego insurance under the new regulation, the uninsured rate may increase. The premiums received from healthy people are generally a great hedge for the unhealthier, or higher risk populations for carriers. With the changes occuring in the individual market, carriers can expect a worsening loss ratio: the ratios paid by the premiums to the insurance company to cover settled claims begin to decrease. With the risk pool looking worse, carriers may concentrate on boosting their sales in relatively more stable segments. If the ACA’s employer mandate is repealed, small businesses may no longer be required to provide affordable, minimum-value coverage to their full-time employees in order to avoid penalties. 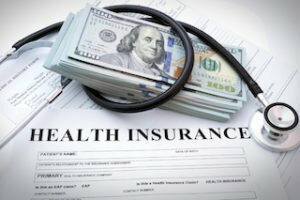 That being said, with many people losing their individual health coverage, employees may increasingly expect health coverage from their employers. Employer-sponsored benefits have always played a critical role in attracting and retaining talent, but with the current instability in the market, many employees will appreciate the security of an employer-sponsored coverage plan more than ever. States may gain further flexibility to develop healthcare models, affordability, and choices offered. A number of states are currently pushing for their own legislation that could potentially give additional protection to residents beyond the federal level. 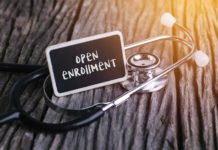 Keep an eye on states like New York and California, who seek to create programs to increase benefits and requirements set by the ACA. 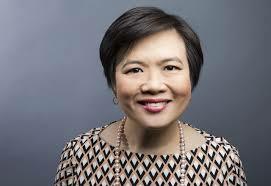 Sally Poblete is the CEO of Wellthie, a leading provider of next-generation technology solutions to help brokers and insurance carriers thrive in the retail age. The answer to healthier people/small business leaving the insurance risk pool is quite simple: we need to give them incentive to stay. Whether insurance carriers offer them cheaper premiums/products, states offer them tax breaks, or other financially creative ideas, we need to think of something. It is quite unfortunate that alot of Americans look down on healthcare due to the PPACA tax penalty. We need to restructure how we engage Americans and make healthcare a civil right instead of a political debate. Not news. Healthy people are already leaving. Carriers will simply stop offering coverage if they can’t maintain their required loss ratio. 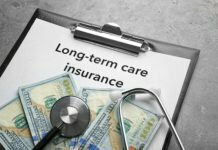 States are already allowing and carriers are offering stripped down plans that are subject to underwriting. Employer benefits are already used to attract & keep employers – except in low skilled jobs where there is a surplus of available labor. I know this is an unpopular view here, but I can see the concept of socialized medicine picking up steam in the US. 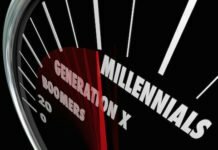 It’s a concept that seems to be embraced by the younger generation (generally under 30) and we do have examples of how well it could work (Medicare). So I would not be surprised if you see it brought up more and more in the next 10 to 20 years. I fully expect to see it in my lifetime. When are people going to stop blathering about socialized medicine. I can point to at least 5 countries that have or had it and dumped it for the waste of money that it is and prove that it doesn’t work. We don’t need government controlled – doll insurance. We need legal reform. many of whom are also lawyers refuse to regulate the low level scum in the legal industry who talk people that don’t need to sue into suing DR’s. Physician malpractice insurance (not unlike Agent E&O) has skyrocketed since the 1960’s. Yes there are 1 in a million doctors that shouldn’t be doctors and have harmed their patients.sure…. However the amount of frivolous lawsuits of Dr’s have increased exponentially along with Dr’s Malpractice insurance. Dr’s deserve to earn a living just like anyone else so what do they do????? They keep raising their rates. Since there was a hint of Obama care passing Dr’s visit rates have skyrocketed to over $120 a visit. This is an outrage. But when you combine Dr’s being forced to take more patients from which they’ll never see a decent payment from CMS, they have to raise rates for cash paying patients to make up for the loss from CMS and the ongoing skyrocketing expenses of malpractice insurance. But the other issue many people don’t get is that the liberals are part of the global thinkers that want to destroy our country financially. The insurance industry, for some time now has been the richest industry in the world, but not if the liberals have their way.